Let's face it--the new evaluation deal is a done deal. The Unity leadership really can't oppose it, because they partnered with the DOE and the state in designing the thing in the first place. 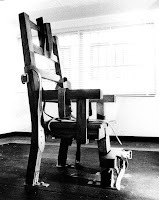 In their rush to support the Race to the Top application, the UFT took their usual "seat at the table". That's a phrase made popular among the UFT brass by erstwhile president Randi Weingarten, who often used that phrase to convince teachers that it was better to be involved in our own demise than to have it done to us. It's sort of like giving a condemned prisoner his choice of a last meal--it doesn't prevent the inevitable, but it makes it a tiny bit easier to swallow. The only hope for teachers is if the DOE somehow blows up this deal and blames the UFT (which is a possibility) and the membership decides to throw the bums out and vote for the MORE caucus, which opposes any evaluation system based on standardized test scores. That's a slim hope, but it gets fatter if teachers like you discuss it within your schools. If that doesn't happen, then the only way Unity should sign a deal is if it includes, at the very least, the 4+4% the city already owes us, a raise for the next year as well, and a contract that takes us all the way through the Bloomberg era. Let me be clear--I would oppose such a deal. No amount of money is worth surrendering tenure, which is what the APPR effectively does. I would vote against any deal that includes standardized testing and the junk science VAM as a component. I say I would vote against it, but I can't, because the Unity stuffed delegate assembly decided, in their infinite wisdom, that teachers shouldn't be allowed to vote on an issue that fundamentally alters our contract and our working conditions. In other words, the Unity brass always want to have a seat at the table, but they are going to deny you one. 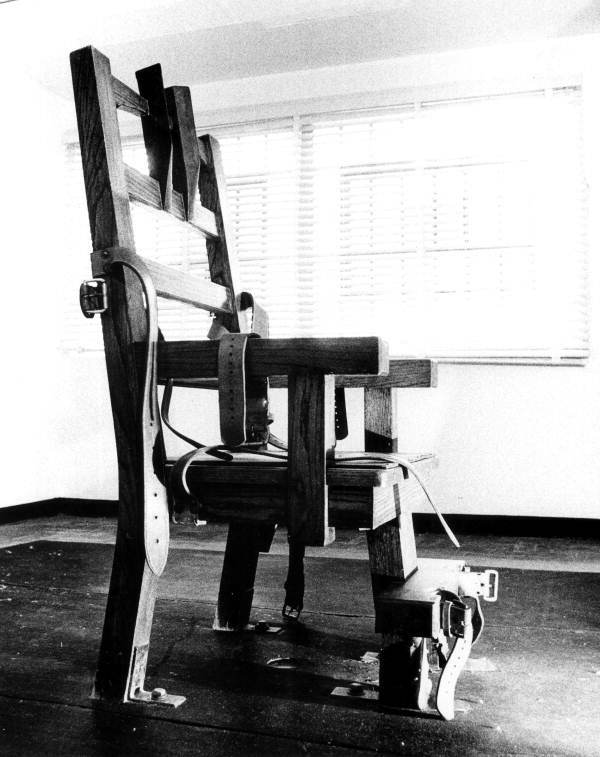 The only seat you're likely to get from Mulgrew is the electric chair, as Unity straps you down and pulls the lever on the new evaluation system. And make no mistake--this evaluation system will mean the death of thousands of careers in the first few years. You won't even get a last meal. No last meal, but perhaps an EBT/Food Stamp card on the way out, since many of us will be unemployable. Forget the 4+4% raises under Bloomberg. My sources tell me that they are waiting on PERB to come up with a framework for the next Mayor. Agreeing to a deal is a ticket to the unemployment line for 18% of the teachers on a annual basis starting in the 204-15 school year. Not a seat at the table but a stool - and a very short one too. when the UFT/AFT signed onto NCLB they also said they wanted even the stool at the table. At least the NEA refused even that much.